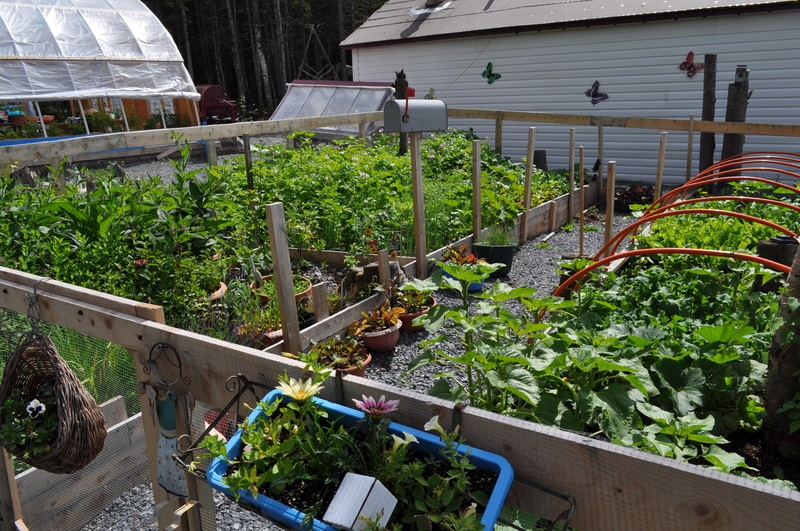 Rural Newfoundlanders & Labradorians have been growing their own crops for centuries. Many tourist often stop to take photographs of our roadside gardens. My grandmother maintains two large gardens that sits between both of our properties. 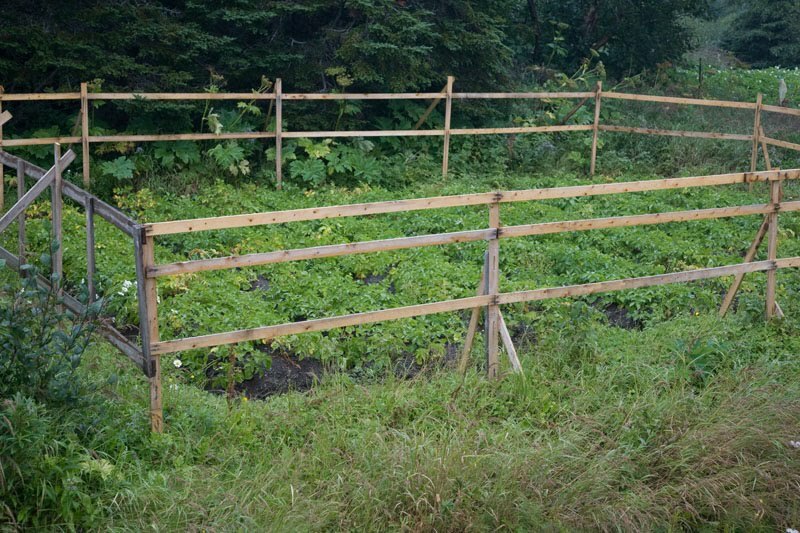 Most of our gardens were more traditional root crops of potato, turnip, carrot and beets. However, in recent years there has been much growth in local vegetable production as we see more grow tomatoes, lettuce, broccoli, zucchini and many more. We have seen more herbs, spices and nurseries for growing flowers. Local Roddickton resident, Elsie Reid has taken to local production, by establishing a green house, flower garden, bird sanctuary and a “Blast from the Past” walking trail. I had the pleasure during the Roddickton Come Home Year of 2013 to tour this walking trail and speak with Elsie. She even introduced me to her “Mummers”. At the end of the tour, I was able to purchase some nettle tea, parsley, spearmint and peppermint. In speaking recently with Elsie, she plans to re-establish her “Blast from the Past” walking trail again this year. It is certainly worth stopping by to get a glimpse of local history and heritage, but also learn about local gardening and an opportunity to enjoy her homemade products. Elsie has a wealth of information, she is willing to share with you. Grandmother Mitchelmore, How Does Your Garden Grow? Transition Towns…the future for Rural NL? Posted on January 13, 2014, in Community Economic Development, Tradition and tagged garden, Great Northern Peninsula, Roddickton, Rural. Bookmark the permalink. Leave a comment.